Our world is being reinvented. What our parents dreamt about in the 60s, like flying cars, smart homes, healthcare of the future, is now becoming a reality. 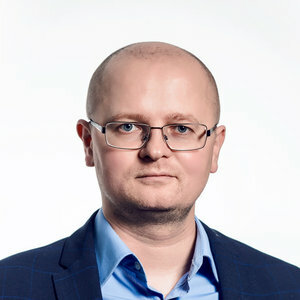 Lemberg stands on the front edge of IoT innovations to help businesses deliver their IoT products and build a connected world of the future. We are thrilled to be the ones who put hardware and software puzzles together for the ultimate purpose — making our lives better, in a way no one ever imagined. Explore how to start building your hardware product from scratch. Let our experts show you how you can go from zero to mass production. You can come to Lemberg as soon as the idea is born in your mind. We will guide you through a discovery workshop session to brainstorm your idea and boil it down to a few concepts that make the most sense. Then, we may come up with physical mock-ups and refine the product design and its details. When the industrial design is ready, we will work on the mechanical engineering of your product. Based on this, we will build 3D models of how your product will look, starting from a PoC or MVP prototype and up until we hand it over to your mass production partner. When it comes to electronics, you can rely on our expertise to suggest the whole hardware architecture of your IoT product. We start with the most important part — hardware platform selection. Later, we work on an embedded design, wireless (RF) design, display and touch screens, power/battery management, BOM (bill of materials) engineering and optimization. Finally, we wrap it up with PCB layout design, fabrication and assembly. When your IoT product design and electrical engineering are done, we start fabrication of your first prototypes, it's always so exciting to give birth to the first version of your product. This may come in a form of a 3D-printed prototype, or it could be a sleek-looking CNC prototype. Developing a real product helps to see how your hardware will become live when software starts running in it for the first time. Together, we will validate all assumptions and get early feedback from users before you jump into the next exciting milestone: mass production. Find out how Lemberg is leveraging the power of software — a vital ingredient of your IoT product that makes hardware intelligent. Embedded engineers start getting engaged together with electrical engineering. Each engineer designs separate parts of the system that ultimately should work together smoothly. Our embedded engineers can develop firmware for MCU, BSP (board support package) and device drivers for SoC (system on chip) as well as application-level software. All of this can be run on different OS (operating systems), like Linux, Android, etc. And we can support you even if you need a custom OS, tailored to your specific IoT use cases. Based on your specific cloud requirements, we develop custom back-end solutions, design APIs that are secure and scalable, suggest proper data protocols, and integrate with third-party systems like Alexa, IFTTT, etc. And we can deploy this to Amazon AWS, Google Cloud, Microsoft Azure, etc. At the same time, we have enough DevOps skills to set up private, independent and cost-efficient infrastructures. In case you have a specific preference, we can leverage existing IoT platforms from popular vendors like Amazon, Microsoft, Google, Ayla, Geeny, etc. Apps are as important as any other part of your whole IoT product. This could be either mobile apps or web apps or both. While we can support you with any type of app that you are looking for, we remain fans of native apps, especially when it comes to mobile device hardware access and control. We craft sleek UX/UI designs so that your whole IoT product experience can deliver maximum value to its users.